Mrs. Louise N. Strickland, age 89, a longtime resident of Covington passed away Friday, December 8, 2017. She was born November 24, 1928 and raised on a farm in Dacula, Georgia; where she lived through and always remembered the Great Depression. Her parents Daniel Lester and Lillie Mae Goddard Nichols have both preceded her in death. Mrs. Strickland worked for Southern Bell from 1948 through 1994 retiring from Bell South; she spent most of her career as a 411 operator. 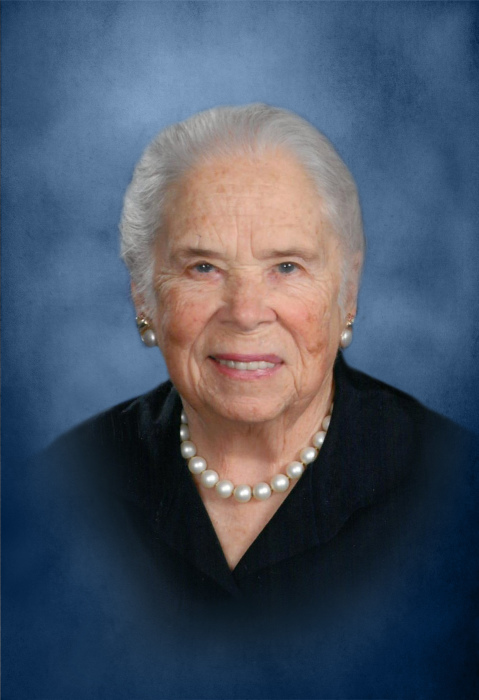 She was a member of the Telephone Pioneers, a longtime member of the First Presbyterian Church of Covington, the Covington Women’s Club, and the Covington Garden Club and served several terms as the Chairperson of the Newton County Republican Party traveling twice to Republican National Conventions. Mrs. Strickland always went to the Covington City Council meetings and the Newton County Board of Commissioner’s meetings always keeping up with local politics. Along with her parents she was preceded in death by her sisters Helen Tuggle and Mae Sailors. Mrs. Strickland is survived by her husband of 64 years Charles D. Strickland, her son C. David Strickland of Covington, her grandchildren Caroline Louise “ Lucy” Strickland, Charles Henry “Hank” Strickland, and Jill Elizabeth Strickland her brothers and sisters-in-law Frank and Christine Nichols of Lawrenceville, Grady and Jo Nichols of Lavonia, and Douglas and Joan Nichols of Lawrenceville her sisters and brother-in-law Hazel Wright of Tucker and Ann and Walter Pope of Covington her brother-in-law and sister-in-law Tillman and Becky Sailors of Marietta her 15 nieces and nephews and 20 great nieces and nephews along a host of other family and close friends. Funeral services for Mrs. Strickland will be held at 2 o’clock Wednesday, December 13, 2017 at the First Presbyterian Church of Covington with Dr. William B. Wade, Jr. officiating. Interment will follow at Covington City Cemetery. The family will receive friends at J.C. Harwell and Son Funeral Home from 6:00 PM until 8:00 PM on Tuesday, December 12, 2017. J.C. Harwell and Son Funeral Home, 2157 East Street, SE, Covington, GA 30014 is in charge of the arrangements. A guest book may be signed on-line www.harwellfuneralhome.com.